The Victorian Chapter of the Australian Geomechanics Society (AGS) is pleased to announce the 2018 AGS VIC Symposium titled “Geotechnics and Transport Infrastructure” which is to be held on 24 October 2018. The symposium forms part of the continuing programme of events organised by the Victorian Chapter of the AGS and is designed to keep the engineering profession aware of recent developments in aspects of geotechnical engineering practice related to transport infrastructure and the challenges and opportunities involved. In recent years Victoria has seen significant investment in transport infrastructure as part of a plan to manage the demands of a growing population and expanding urban fringe. The construction of Melbourne Metro, a second crossing of the Yarra River, rail and freeway upgrades as well as numerous level crossing removal projects are just some of the major transport projects currently underway in Melbourne and regional Victoria. Many of these projects carry numerous complex geotechnical challenges. This symposium will present overviews of current infrastructure challenges, state ofthe-art practices, innovation, new research results and case studies demonstrating applications of advanced techniques and cost effective solutions in the construction and design of local transport infrastructure. The symposium will bring together professional engineers, researchers, specialist contractors, regulators, educators and students to share and discuss their experiences on the topic of transport infrastructure and associated geotechnical challenges and applications. Best practices, case histories and innovative solutions for dealing with these challenges will be presented and discussed, with a particular emphasis on the geotechnical challenges affecting the Melbourne region and regional areas of Victoria. * Become an AGS member. † Proof of being a full-time student, or concession required. David is a Fellow Member of Engineers Australia and Chartered Professional Engineer with over 19 years of experience in ground engineering for civil and mining projects. He is a Technical Director for Jacobs with expertise in Rock Engineering and mined tunnels in Asia-Pacific and Middle East Region. David is also an Adjunct Principal Fellow at the University of Wollongong, casual Lecturer at the University of Sydney and a reviewer of number of renowned international technical journals and conferences. David has been involved on a broad range of projects varying from complex open pit designs and deep and highly stressed underground mines to major infra-structure civil projects within densely populated cities (primarily tunnels and motorways). George earned a Bachelor and MSc degree in Civil Engineering from the Democritus University of Thrace, Greece and holds an MPhil and PhD from the School of Civil Engineering of the National Technical University of Athens (NTUA), Greece since 2005. In the following years, he continued his engagement with the School of Civil Engineering, NTUA first as a post-doctoral researcher and later as a part-time lecturer. George moved to Australia to join the University of Newcastle in 2012, where he currently holds an Associate Professor position in the School of Engineering. His diverse research interests lie in the fields of pipeline engineering, soil-structure interaction, computational geomechanics, geotechnical earthquake engineering and soft soil testing techniques. He has published over 50 papers in monographs, refereed journals and peer-reviewed conference proceedings on the analysis of buried pipelines affected by geohazards, the seismic design of tunnels and the simulation of large deformation problems in geomechanics. His research has attracted substantial funding from governmental as well as industry sources, and he has been involved in several projects as project leader and chief investigator. He is affiliated with the ARC Centre of Excellence for Geotechnical Science and Engineering as a research associate, and with the Priority Research Centre for Geotechnical and Material Modelling as a principal researcher. 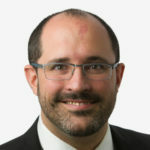 In parallel he currently serves as an associate editor of the Canadian Geotechnical Journal, sits on the editorial board of Computers and Geotechnics and has served as a guest editor of special issues published in the Canadian Geotechnical Journal and Australian Geomechanics. 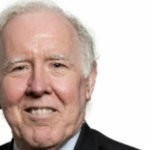 He is also an active reviewer for a number of international journals, and serves as an expert assessor for international funding bodies including the US National Science Foundation, the Australian Research Council, the UK Engineering and Physical Sciences Research Council and the Qatar National Research Fund. 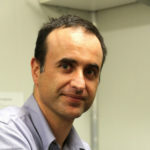 Kouretzis is the recipient of a number of awards for research and teaching excellence such as the International Association for Computer Methods and Advances in Geomechanics IACMAG and the Australian Association of Computational Mechanics ACCM. David has over 40 years engineering experience of which the large majority has been spent in the area of pavement engineering which has included the design, construction, evaluation and rehabilitation of pavements for roads, airports, docks and commercial/industrial facilities. He has specialised in the design, construction, evaluation and maintenance of flexible pavements and has extensive experience in the behaviour of bituminous materials including asphalt and sprayed treatments. He was a member of Austroads working groups for the 2004 revision of the Guide to Structural Design of Road Pavements and the 2005 Guide to the Design of Rehabilitation Treatments for which he also served as technical reviewer. He has also provide at technical review of the proposed 2018 update of the Victorian Planning Authority Engineering Design and Construction Manual. He has worked closely with numerous industry associations, government agencies and the commercial sector in Australia, the United Kingdom and Canada.